Spanish family words. 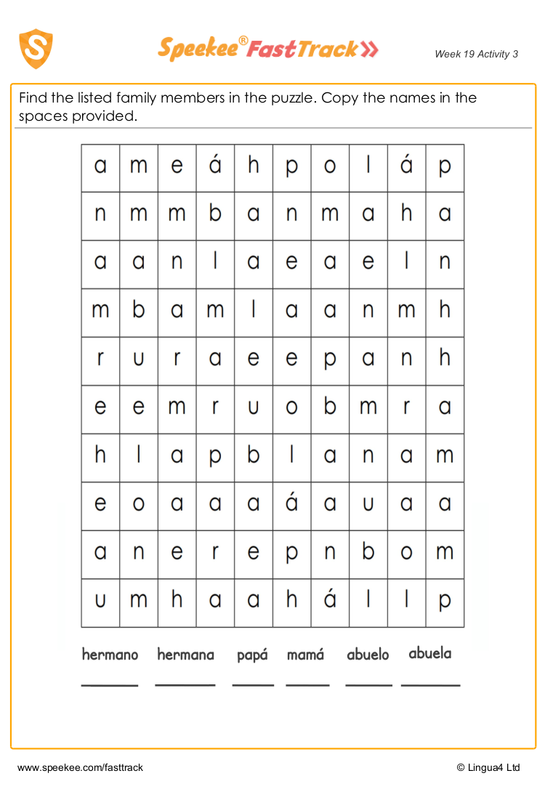 A wordsearch with six Spanish family members to find! Find the listed family members in the puzzle. Copy the names in the spaces provided.